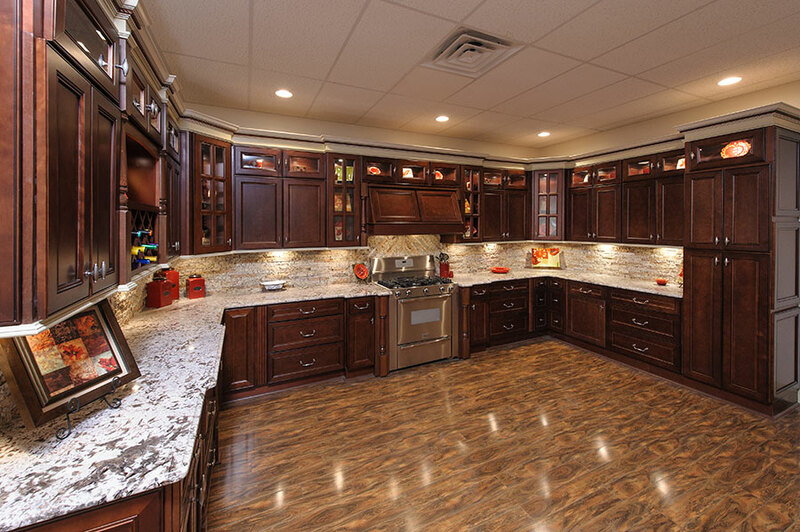 Our York Coffee cabinet line is sure to make a statement in any room. This cabinet line offers a beautiful brown coffee color, contemporary black glazing and an applied molding detail on each individual cabinet door and drawer front. All drawer and door fronts are made from solid hardwood and come with all-in-one soft close hinges as well as full extension under mount soft close drawer glides. The York Coffee cabinet line also comes equipped with matching interior cabinet boxes and shelves. From beveled glass cabinets to a vast amount of accessories you can't go wrong with the look and features that our York Coffee cabinet line has to offer!